Russian government hackers and propagandists displayed a remarkable familiarity with the delicate intricacies of American politics and social issues during the course of the 2016 election – particularly when it came to their successful efforts to rig the swing states of Wisconsin and Michigan in Donald Trump’s favor. If you’ve come to believe the Russians couldn’t have pulled it off without American help, it turns out you’re in good company. John Brennan, who was the Director of the CIA during the 2016 election, was interviewed by NBC News reporter Andrea Mitchell at a public function on Wednesday. Mitchell asked Brennan if he thought it was possible that Russia could have pulled off such a sophisticated and knowledgeable operation in these swing states. Brennan flatly stated “I find it implausible.” He didn’t specifically say it, but he didn’t need to: the obvious implication is that the Donald Trump campaign helped Russia to hack the election. 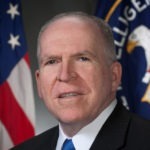 Although Brennan is recently retired, he was running the CIA during the election – thus making him the first high ranking government official to outright assert that Americans were helping the Russians to influence the outcome of the election. Brennan didn’t step down until January, meaning that he saw classified evidence on the way out the door that he still can’t talk about. Someone in his position wouldn’t be making these remarks at this time, unless he’s seen the evidence confirming it, and he now believes that evidence will become public. John Brennan has been much more cautious with his words in the past when it’s come to discussing the topic of election collusion between the Donald Trump campaign and Russia. There’s a reason why he’s now making a much more damning assertion about it. Brennan now appears to believe that it’ll all come out in the end one way or the other.